Insertable indexes feature clear Mylar-reinforced edge for extra durability. Includes standard strip style inserts. Heavy-duty canary stock contains 30 percent post-consumer content. 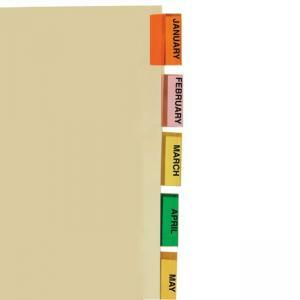 Letter-size inserts with tabs (1-3/16" straight cut) are three-hole punched for easy use with standard binders.